Peugeot India – No More U-Turns Please ! Your Next Suburban PentHouse or the Lamborghini Urus ? Should one Buy a Car in Dec ? How to buy a Car without Confusion ? The Celerio just swallowed a few Viagras! Jeep is an American automobile manufacturer and it made its debut in India by launching Cherokee and Wrangler. However, it failed to garner interest in India due to its price factor. Jeep Compass is an attempt to win the hearts of Indian car enthusiasts. The price of the vehicle is in between Rs. 14.95 lakhs and Rs. 20.65 lakhs. The vehicle stands between base-variant and top-spec SUV. The new Jeep Compass is available in three variants, Sport, Longitude and Limited. The vehicle is the cheapest in the segment to feature terrain-based traction control system. The size of Jeep Compass is small. It is smaller than Tata Hexa and it can stand near the Hyundai Creta. If you go for the top spec, you can take advantage of the four-wheel drive system. There are four modes such as snow, sand, rocks, and mud to optimize the driving experience. Compass derives design features from Grand Cherokee. The wheel arches are squared off. The car is available in 2.0-liter diesel 1.4-liter petrol version as well. Jeep Compass is apt for adventurers. It is a trustworthy vehicle to explore new places as it can take you safely. It has plush interiors including Uconnect infotainment system and dual zone automatic climatic control. Jeep India offers 3 years or 1,00,000 kilometer warranty on Compass. You can also go for 3 year complimentary 24/7 roadside assistance. The Jeep Compass features the 2.0-liter multijet II (Fiat) engine which is bigger than 1.3-liter engine present in various vehicles including Maruti Suzuki Swift, Ritz, Ertiga, Ciaz and Fiat Punto. Hence, the engine delivers 170 BHP and 350 Nm. The engine is connected to the 6-speed manual transmission system. Being a small SUV, the Jeep Compass has the potential to drive in varied conditions. Tons of safety features are provided in the small SUV, Jeep Compass. It is the unique selling point of the vehicle coupled with the powerful and proven engine. There is no second thought to the design chosen for Jeep. The vehicle comes with 6-airbags, ABS and ESP. The other enhancements are Electronic Brake refill, hydraulic booster failure compensation, panic brake assist and electronic roll mitigation. The parking brake will turn off after attaching the seat belt by the driver. It has projector headlamps and big alloy wheels to deliver great looks as well as performance. The mileage expected by the 2.0-liter turbo diesel engine is 17.1 kmpl. The customer can exercise an option of 7-speed dual dry clutch transmission as well. The gear change takes place in a split-second and there will be a smooth ride at all speeds. Jeep Compass has great potential to penetrate the small SUV segment. The worthy features of the vehicle are its design, 2.0-liter Fiat sourced multijet II engine and enhanced safety features. There will be a great reduction in the price of the vehicle by assembling in India. Customers can take advantage of tried and tested engine. 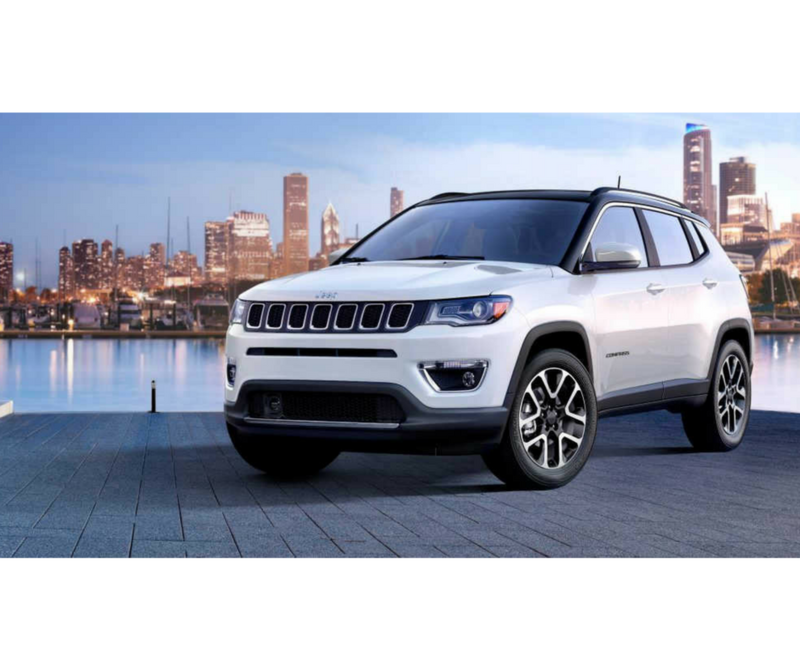 At the moment, it is hard to find a competitor to Jeep Compass. ← Not Getting The Desired Resolution from Maruti Suzuki Customer Care? Anuj Guglani on The Celerio just swallowed a few Viagras! Copyright © 2019 Motor Uncle. All rights reserved.